We compare the PowerBlock Elite Dumbbells vs NordicTrack Speed Weights side by side in depth, here is the comparison table. 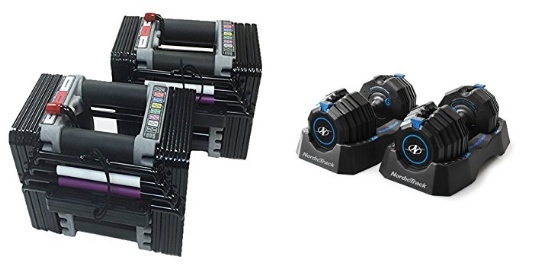 We compare the XMark Adjustable Dumbbell vs Bowflex SelectTech 560 Dumbbells side by side in depth, here is the comparison table. There is two different models, 25 lb-Pair and 50 lb-Pair. With 25 lb-Pair you can increment the weight by 5 lbs. This is a smart dumbbell that has a sensor and Bluetooth connectivity to count reps, calories and keeping track of your lifted weights.